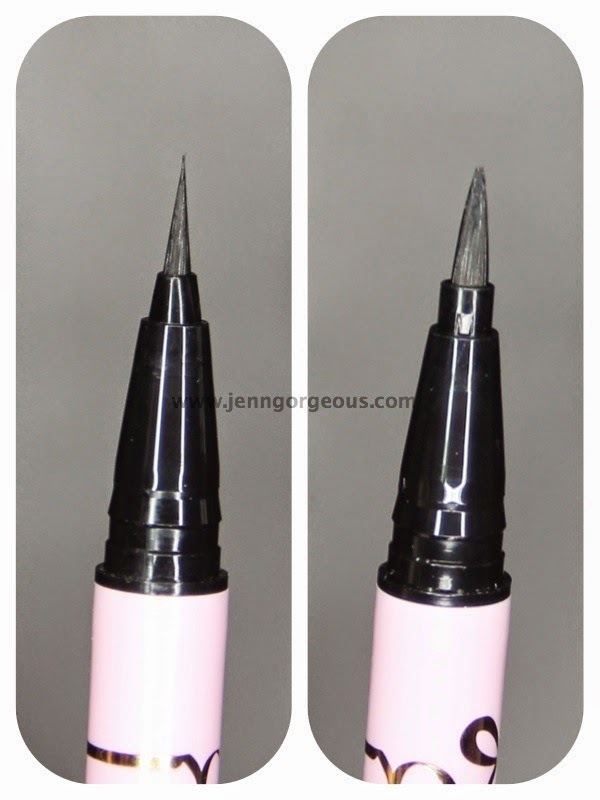 -Easy To draw flat end Brush A flat end brush liquid eyeliner that allows you to draw either thin or thick liners! Can easily create a line which is three times thicker than usual. 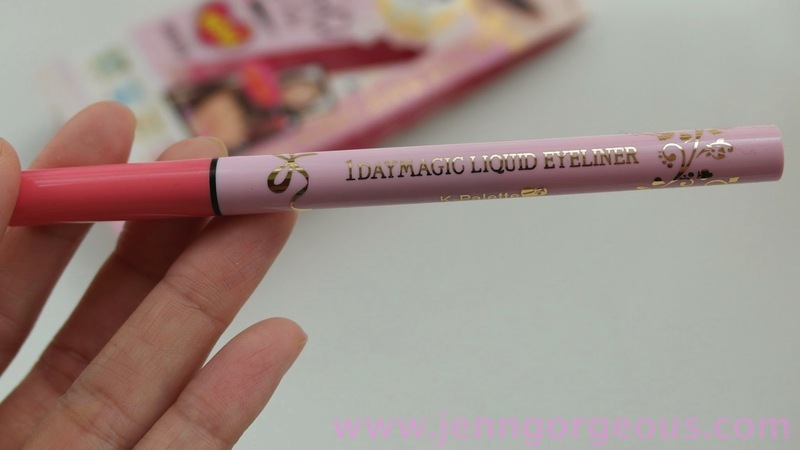 -WaterProof Quick drying, water proof liquid eyeliner, highly resistant to water sweat and sebum. -Easy To Remove Can be easily removed with lukewarm water despite its long lasting finish. This is how the flat end brush look like, you can draw either thin or thick line with it. Before and after I draw using K-pallet 1 Day magic liquid eyeliner. 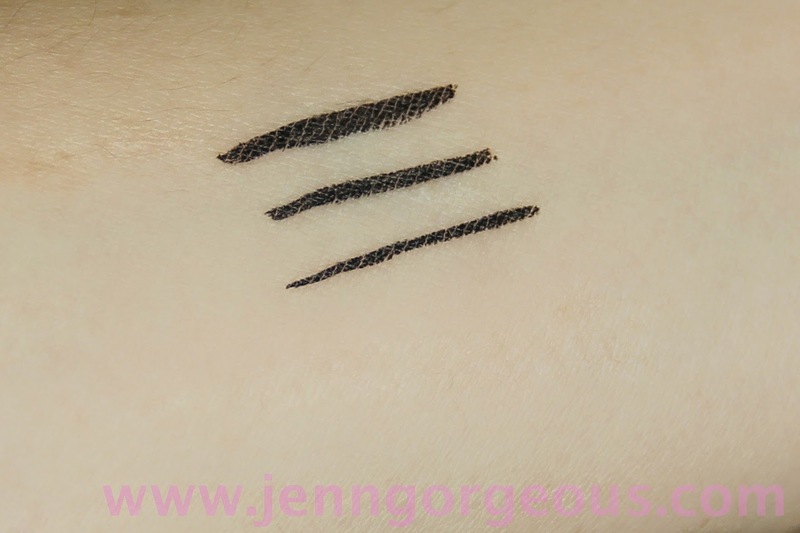 Overall, I like this eyeliner because of the design of the tips that can easily draw thin and thicker line. 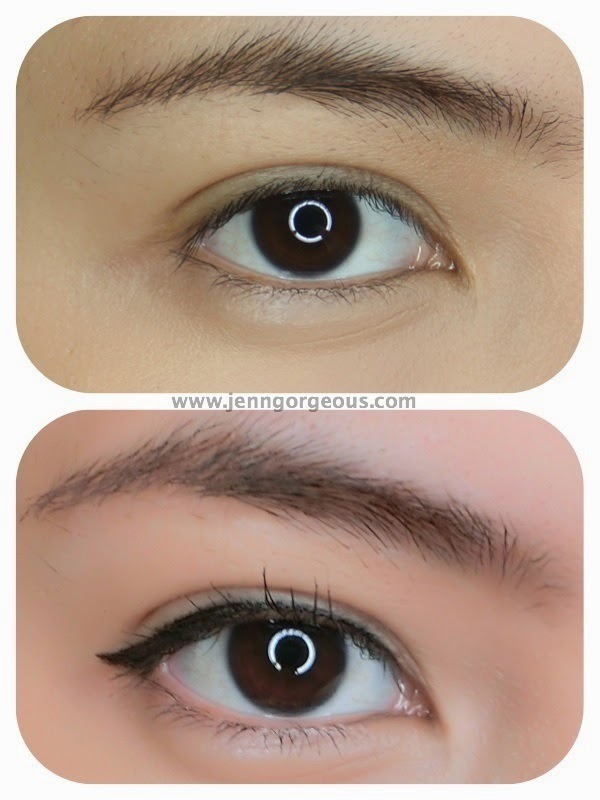 And of course the colour pay off is great, you can get a very black eyeliner result . My eye lid is quite oily, this eyeliner only claim to be waterproof, which can resist water and tears. So it did smudge a little after wearing after 3 hours. 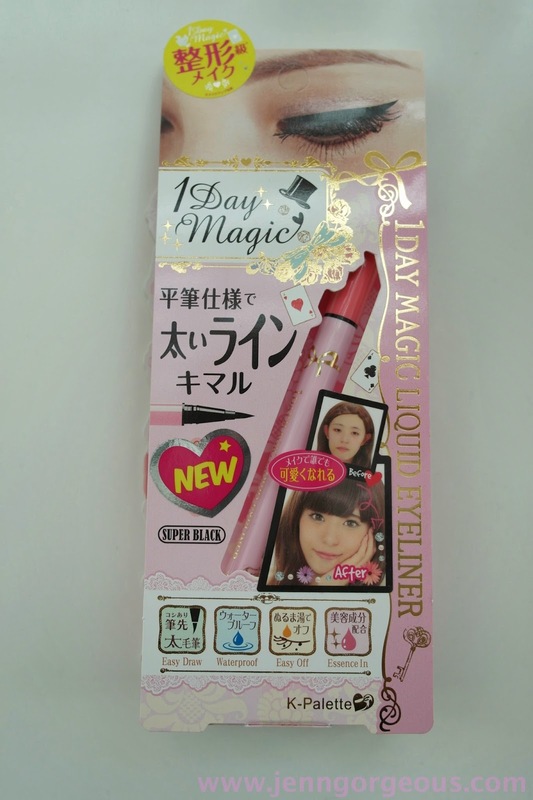 I really recommend this for beginner that is learning to draw eyeliner. Disclaimer: This product is sent to me for my 100% honest review.